A li'l projects for lovely creative and crafty kids. 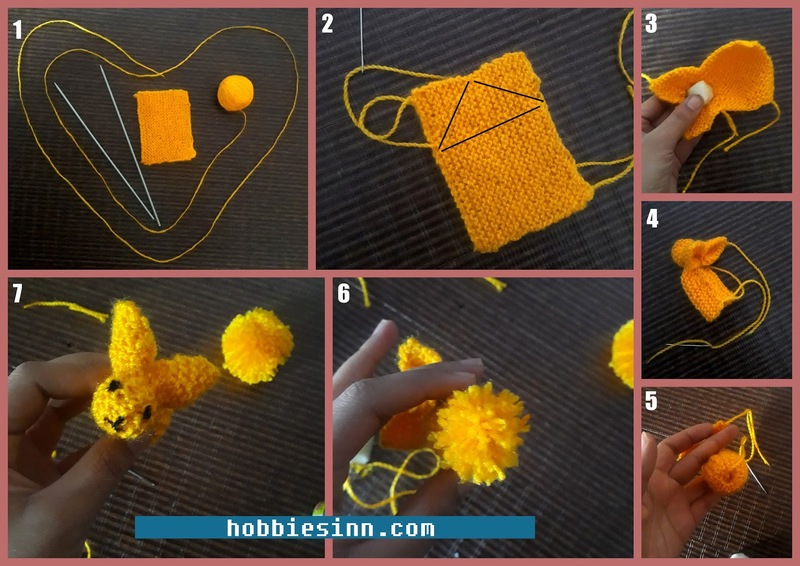 A sweet yellow yarny bunny. Its very easy and doesn't require any great expertise. The pattern too is easy to follow. So all kids there, grab a ball of yarn of your favorite color and two knitting needles. 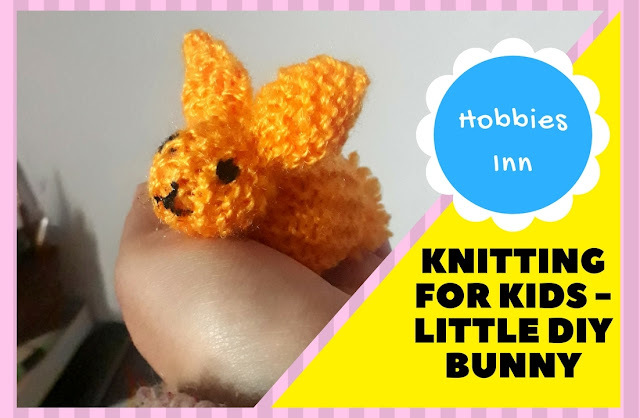 Our yarny bunny knitted using a garter stitch. 1. 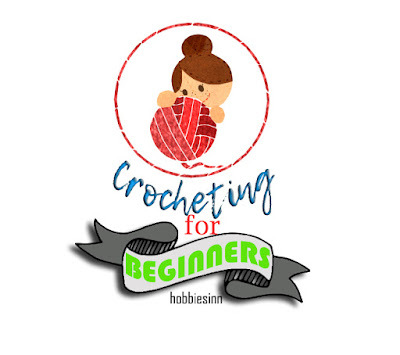 Using your knitting needles and your favorite yarn make 25 stitches. 2. Continue making purl stitches until 30 rows are made. 3. Mark and Make a triangular area on one side, stitch along the marked area and pull the thread. As in picture. 4. Pull the ends of this thread. Fill it in with the cotton. This part is the head and the two ears. 5. Stuff the other part and close with a yarn needle and yarn. 6. Affix a pom pom as a tail. 7. Make eyes and mouth with the help of paints. And then you are done.